2015 sees the fourth big screen adaptation of Thomas Hardy's beloved novel Far from the Madding Crowd. A classic story of one woman and three men, Hardy's book received its most famous treatment in director John Schlesinger's atmospheric 1967 film starring Julie Christie, Terence Stamp, Peter Finch and Alan Bates. This time, Oscar nominee Carey Mulligan steps into the Christie role as independent Bathsheba Everdene, a headstrong woman making her own way in the male-dominated environment of 19th century Dorset. When Bathsheba unexpectedly inherits her uncle's farm, her newly acquired wealth and status leads to her being courted by three very different suitors: loyal sheep farmer Gabriel Oak (Matthias Schoenaerts), wealthy landowner Mr. Boldwood (Michael Sheen) and rakish, handsome soldier Sergeant Troy (Tom Sturridge). Directed by Thomas Vinterburg, one of the leading figures of the 1990s Danish 'Dogme' realist movement, this new take on Hardy's tome is a sumptuously mounted affair with beautiful cinematography from Charlotte Bruus Christensen and an outstanding performance from Mulligan, fully embodying a woman asserting her own independence whilst also attempting to stay true to her own heart. The production, filmed on location in Hardy's Westcountry, also benefits from a lovely, lyrical score by composer Craig Armstrong whose music is perfectly in tune not just with the landscapes but also the story's undercurrents of hope and heartbreak. 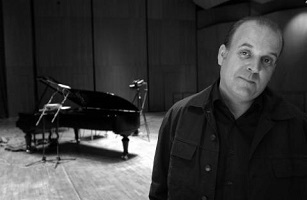 The composer takes his cue from classical masters like Ralph Vaughn Williams and also film music contemporaries like James Newton Howard (the latter's score for The Village is a notable influence), as well as the original film's Richard Rodney Bennett who was awarded an Oscar nomination for his work. Armstrong sets out his stall early with the sweepingly beautiful "Opening", which effortlessly conjures up images of sweeping Dorset vistas with its intimate string solos and general bucolic charm. Armstrong has long been an exponent of melody in film music, whether it's his collaborations with Baz Luhrmann on Romeo and Juliet and The Great Gatsby, or his heartwarming score for Love Actually. This first track is a welcome reminder of why he's held in such high regard. Following traditional hymn "Jerusalem the Golden" performed by The Dorset Singers and Yeovil Chamber Choir, Armstrong's score continues in an optimistic vein with the sprightly, delightful "Corn Exchange", alive with the movement and spirit that its track title implies. The altogether more subdued "The Great Misunderstanding" focuses on flighty interactions between strings and woodwinds, a more intellectual, pensive piece that hints at the complexities of Hardy's inter-character relationships. It's perhaps not unlike something Alexandre Desplat would write. "Spring Sheep Dip" is another piece full of the joys of spring, skipping strings and woodwinds firmly rooted in the beauty of the landscapes about which Hardy wrote so eloquently. "Oak Returns" is hauntingly melancholy and wistful, teasing out the tentative relationship between the loyal sheep farmer and the self-sufficient Bathsheba. Anyone who knows Hardy's story of course knows that the Bathsheba/Oak relationship is pivotal to the narrative, and this gorgeous piece subsequently becomes central to Armstrong's score, eventually flowering in the climactic "Far from the Madding Crowd Love Theme". Following a rendition of traditional folk tune "Let No Man Steal Your Thyme" performed by stars Mulligan and Sheen, Armstrong's score continues in "Never Been Kissed". This track is the first in a sequence exploring the relationship between Bathsheba and Troy, featuring a wavering violin solo that is appropriately tentative and cautious yet very attractive. The theme intentionally lacks the fulsome quality of the Oak/Bathsheba piece, instead showing how our heroine is initially resistant to Troy's charms before eventually being won over. "Hollow in the Ferns" takes the Bathsheba/Troy theme to glorious heights, a swooning and romantic piece accompanying the famous scene in which Troy demonstrates his swordmanship skills. The piece steadily gathers momentum as Bathsheba finds herself taken with the handsome soldier, approaching John Barry levels of beauty near its conclusion, and there can surely be no higher compliment. "Bathsheba and Troy Wedding" begins pensively, utilising precise, rhythmic strings overlaid with soft woodwinds before flowering into happiness. Following another duo of traditional folk tracks in the form of "Dribbles of Brandy" and "Swiss Boy", both performed by fiddle player Eliza Carthy, the score moves into considerably more tragic territory. The precise, clipped, uncomfortable string rhythms of "Fanny and Troy" hint at the tumultuous background of the rakish soldier, refusing to settle into a sense of calm, whilst "Troy Swims Out" sees that character's theme reach especially moving heights with piano leading to melancholy strings. Following another interlude from The Dorset Singers in the form of hymn "O Come, O Come, Emmanuel", the score's third and final primary theme for Boldwood takes over in "Boldwood Variation". Befitting the dour, repressed character as played by Michael Sheen, the string-led piece is beautiful yet more than a little downbeat, broader in its orchestral scope than the other two themes to reflect Boldwood's social status and wealth yet intentionally lacking their warmth. After a couple more source interludes from the aforementioned Eliza Carthy Band, the score moves towards its conclusion. This is where the Bathsheba/Oak theme is treated to a host of variations, the relationship between the independent landowner and the devoted shepherd eventually coming to serve as the moral backbone of Hardy's love story. The tentative "Time Moves On" is, as its name suggests, a transitional piece, brimming with optimistic potential but never quite getting there. "Oak Leaves" is subdued and moving before "Bathsheba and Oak Unite" brings the narrative to a close with a beautiful, although measured, statement of the theme. There's no sappiness or schmaltz here; instead, Armstrong is careful to respect the sincerity of Hardy's vision. The "End Credits" then bookends the score with a reprise of the lilting fiddle solo with which it opened, before a final reprise of "Let No Man Steal Your Thyme", this time performed by Mulligan alone. 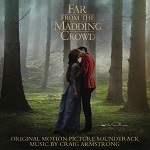 The stunningly gorgeous "Far from the Madding Crowd Love Theme" then brings everything to a sumptuous close and is arguably the highlight of the album, Armstrong's sensitive writing for strings calling to mind romantic masters like John Barry and Georges Delerue; it's that good. In fact, one of the most pleasurable aspects of Armstrong's score is how it pays homage to beloved romantic composers: it's sweeping when it needs to be yet also subtle when necessary, placing just as much emphasis on the inter-personal relationships as it does on capturing the Dorset landscape. Armstrong has always been a sensitive composer, pitching his music on the fine line between sentimentality and sincerity, and Far from the Madding Crowd finds him at the top of his game. Anchored by a selection of strong central themes, the score has a clear reverence for Thomas Hardy's text whilst also being emotionally accessible enough for a 21st century audience. Like Bathsheba herself, the score is fulsome, tentative, decisive and beautiful by turns, sure to be one of the highlights of the year. This film score is available from these links at Amazon.co.uk and Amazon.com.